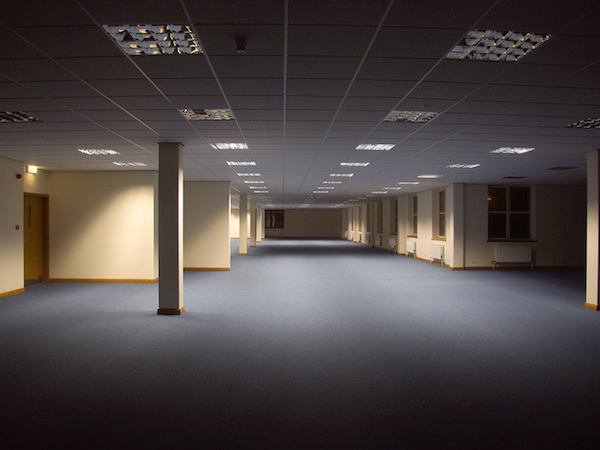 Before choosing office space to rent for your startup, there are many points to reflect on. As well as the size, cost and location you’ll also need to take into account the less obvious concerns like the lighting in the space and the surrounding neighborhood. By being clear about your requirements from the outset and asking the right questions, you can find office space that is right for your startup. The first thing to consider is the size of space you will require. When making a decision on this, think about both employees and equipment. You’ll also need to work out whether your business is likely to grow in the near future and whether the prospective office space can accommodate this predicted growth. Many startup companies and surprisingly some established businesses, in an attempt to cut costs, make the mistake of renting office space that is too small. However, this can lead to a cramped and uncomfortable working environment that will not be conducive to productivity in the office and may result in a high staff turnover. What can your business afford? Look at your financial situation and work out how much you can spend on renting office space. If you are a bit shaky around the numbers, hire an accountant to help you establish a sensible budget. If you are unsure what the going rate is for office space in your local area, do some research online. For example, look at Regus Office Space for an idea of what you can get for your buck. It’s tempting to get carried away with finding property, especially if it’s your first office. But, it is important to adhere to your budget. If you’ve not got much money just now, this may mean making some compromises until you are in a better position to move into a better office. For example, you may require some employees to work from home until you can afford a bigger space to accommodate them all. The location of your office is important for a number of reasons. First and foremost, it should be easily accessible to both you and any staff you employ. This means not relocating to the suburbs and subjecting everyone to a stressful and time-consuming commute each day. Your office space should be in a reasonably central location with excellent transport links. Your office should also be easy to find and get to by your clients. You don’t want to risk losing valuable customer and clients by choosing office space in a difficult to reach location. Heaven forbid an important client makes the effort to visit your office only to get completely lost and give up. The neighborhood is also a factor to bear in mind when choosing office space. If the area that you propose to rent property has a bad reputation, this could reflect badly on your business in the eyes of clients and customers. Additionally, your employees may feel unsafe working in a neighborhood that has a questionable reputation. If you are unsure about the local neighborhood, ask other businesses or even friends and family that are more familiar with the area. Alternatively, search for information on the are online. If you have a lot of expensive equipment, it is definitely worth finding out about general and business-related crime in the local area. It is also a good idea to find out what other businesses operate in the neighborhood. Perhaps some of your competitors are based there. If so, this could be an advantage or disadvantage, depending on the nature and scale of your business. It may not seem that important a consideration at first but if you have ever worked in a dark, dingy office, you will understand. Plenty of natural light is crucial for creating a pleasant working environment. When viewing properties, make sure you pay attention to the type and style of window and how light the office feels. If the only properties you can afford have poor natural light, there are other things you can do to improve the lighting in these types of space. Artificial lighting, that mimics sunlight, is effective. You may also want to enquire with the rental company if you can make improvements such as repainting the walls in lighter colors. How much will the space cost to run? As well as the rental expense for the office space, you’ll also need to factor in the costs for lighting and heating the property. The rental company should be able to provide you will an average figure for the amount of energy the space uses. When considering the running costs, remember to factor in how much electrical equipment you will be using and how much light you will need. If you and your employees do a lot of overtime, as is common with startups, then the running costs will increase. Consider the shops and services that are available in the local area. If you deal with cash on a daily basis, it will be handy to have a bank nearby. If your business requires a regular supply of items such as ink and stationery, it will be handy to be able to buy these nearby for when the supply runs out. The office will be more appealing to you and your staff if there are plenty of options for grabbing lunch and to running everyday errands. If you, your employees or your clients wish to drive to your startup office, it is important to suss out the parking situation. Ideally, the office space will come with parking. If you are renting space in a large building, it is commonplace for parking to be available. But if not, you may need to look at the options in the adjacent streets. There are many crucial considerations to take into account when choosing office space for your startup. Make sure you do your research before diving in so that you can be certain that you find the right office space for your business.